'Golden-Voiced' Ted Williams Heading For Rehab : The Two-Way This news comes after he and some family members were taped yesterday for a Dr. Phil show appearance that airs today. And it follows the reports of a "disturbance" this week involving Williams and one of his adult daughters at a Los Angeles hotel. Ted Williams, the homeless man who soared to national fame last week after his radio-friendly voice was heard in a video report by the Columbus Dispatch, is headed into rehabilitation treatment for alcohol and drug dependency. 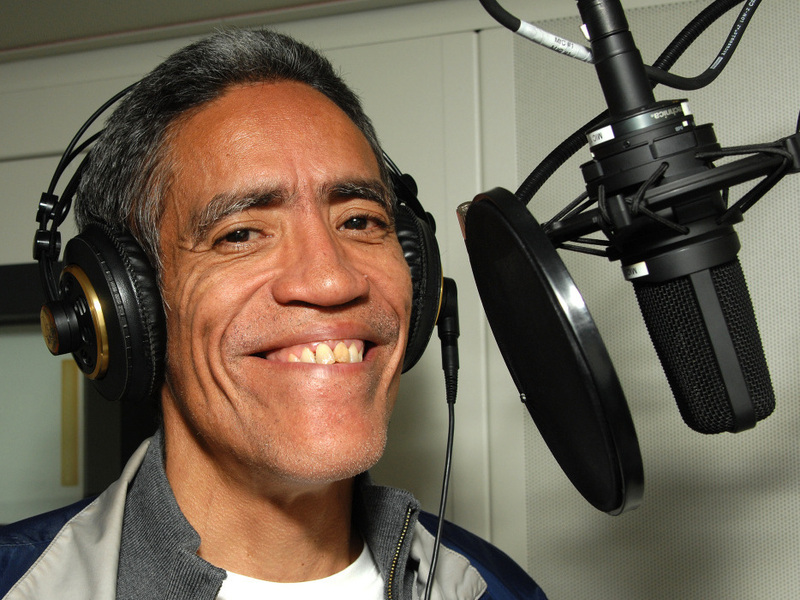 Ted Williams as he recorded voice-over promos for MSNBC's "Lean Foward" campaign on Jan. 6, 2011. This news comes after he and some family members were taped yesterday for a Dr. Phil show appearance that airs today. And it follows the reports of a "disturbance" this week involving Williams and one of his adult daughters at a Los Angeles hotel. Williams has all along admitted he's had problems with drugs and alcohol, but has also said he's been sober for about two years. The preview clip posted by the Dr. Phil show has one of his daughters claiming that Williams was lying -- and that he's been drinking in recent days. Since gaining national fame, Williams has gotten some work as the "voice" for Kraft Macroni & Cheese and doing announcements for MSNBC. He's also been offered work by the NBA's Cleveland Cavaliers.